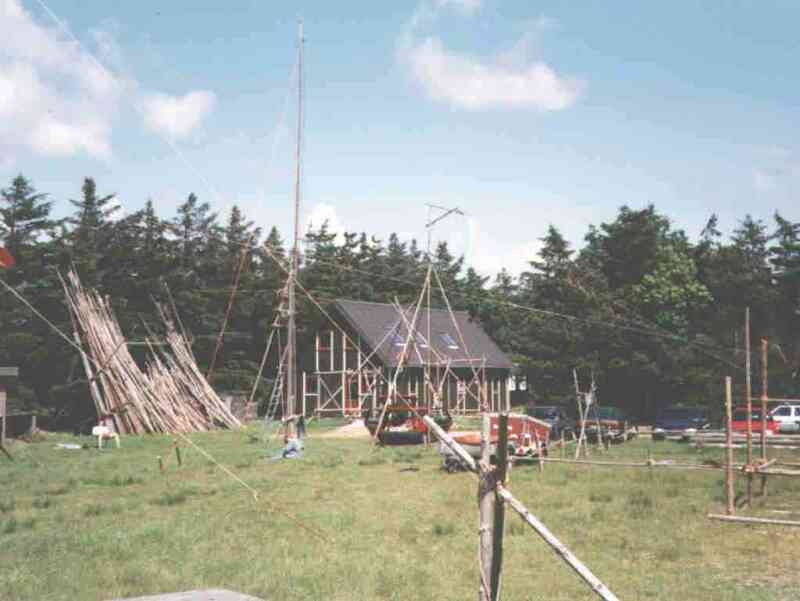 A year after our amateurradio-event on Rügen (EU-057) we are again about Whitsun on an island! For this activity the Danish amateur radio call sign OZ1RDP was assigned to us which should be activated from now on during the coming years over and over again about Whitsun from here by us! 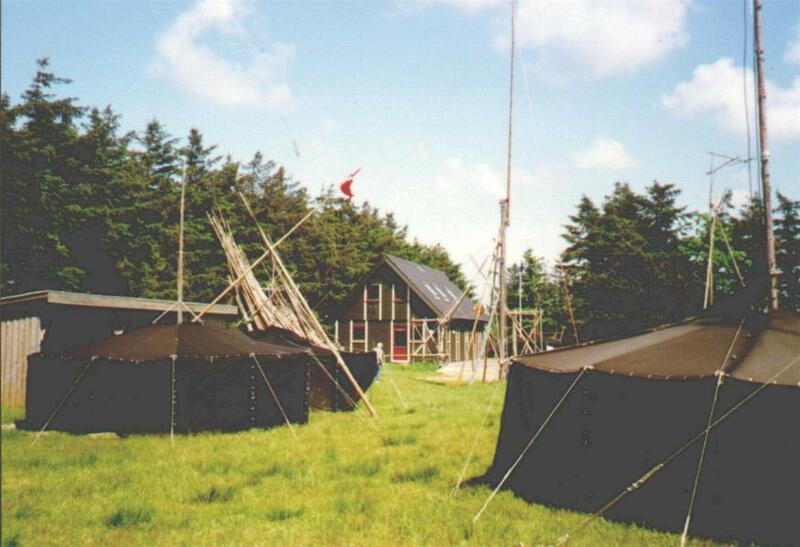 Arrived with just 30 girl scouts and boy scouts the week-end was more a classical Whitsun camp of VCP Bremen (VCP=Verband Christlicher Pfadfinderinnen und Pfadfinder) together with boy scouts from Grevenbroich, extends by some radio activity. The Transceiver were pursued with 100 W.
For Packet radio everything existed - up to a small Sub D adaptor of from 25pol to 9pol which had remained lying at home in the club station. Well, one must also be able to lose once - the next year becomes better everything! The resting place area. In the background the boy scout's house with kitchen, day room, toilets. 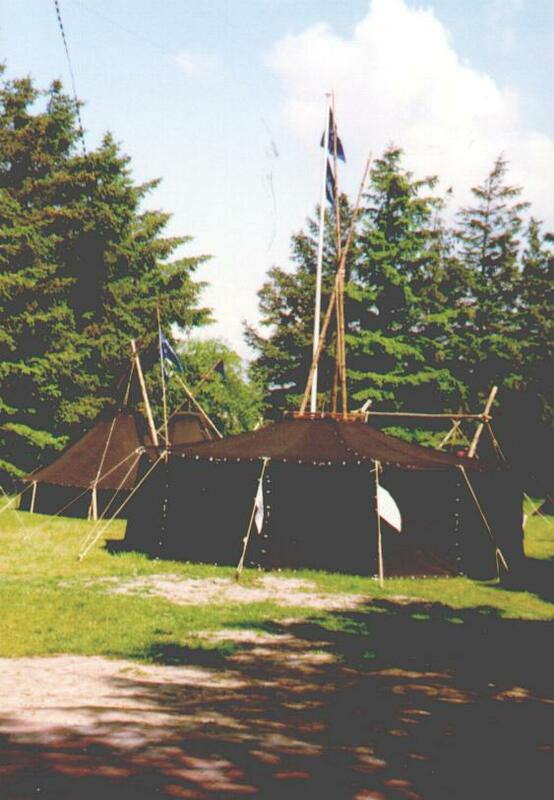 The lighting column in the foreground was doubled by his height more than and was equipped with a double dipole for 40 m / 80 m.
In the foreground black scout's tents (Jurten), behind it the mast for the double dipole and the wooden camp gate. 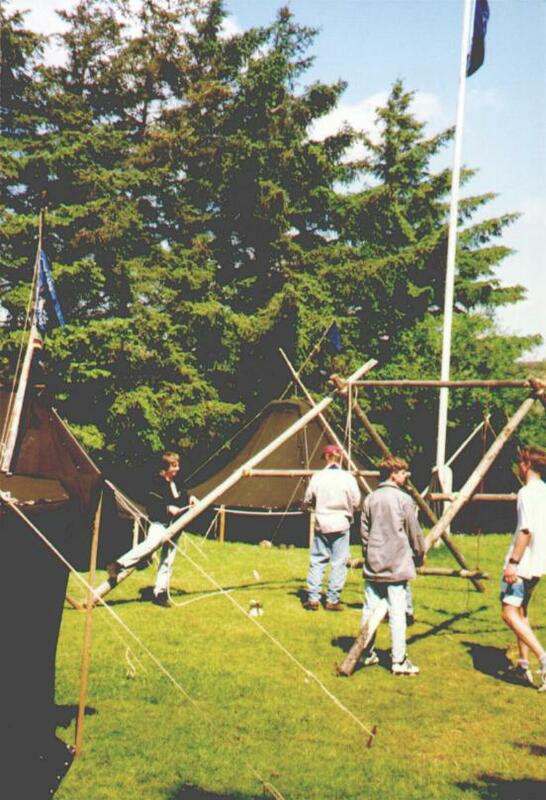 Also in the rear part of the area the scout's tents (in front a "Jurte", behind it two "Kohten"). To recognise on the left in the picture the Feeder of the selfbuilt double zeppelin aerial. A wooden Lagtertisch is build. 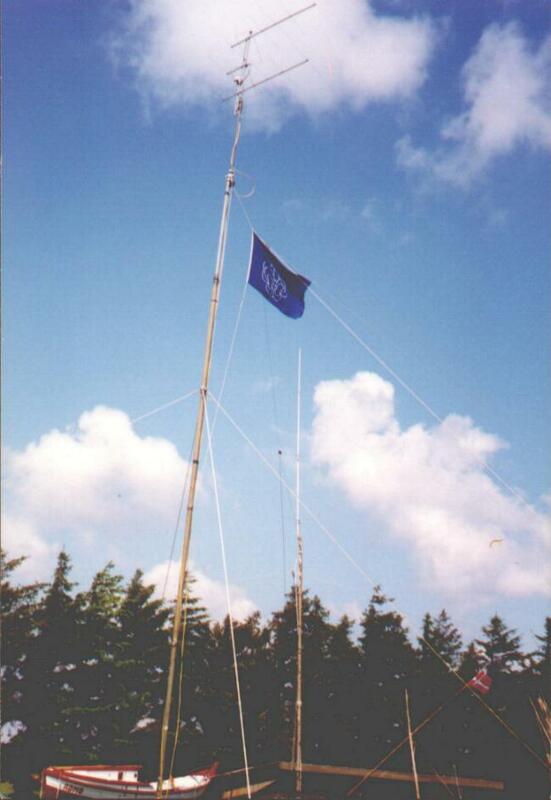 13-m-long Army-aluminium-tower with a system of 2 m antennas. Besides a Vertical for 2 m / 70 cm.